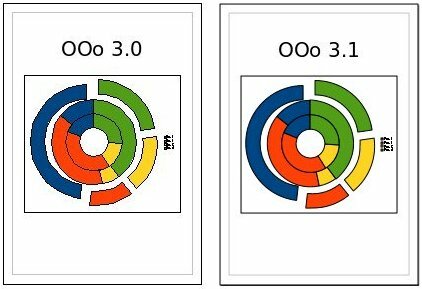 OpenOffice.org 3.1 is the next upcoming release of OOo, and among the new features it will include is a very visible improvement to graphics, in the form of antialiasing support. The extended DrawingLayer starting from OOo 3.1 will allow more graphical enhancements in the future. As an example, Full Object Drag as a feature for OOo 3.1 is realized using the new functionalities. You may also have noticed the enhanced selection visualizations in the Applications, also a result of those internal changes. I make heavy use of Draw to create flowcharts and webpage wireframes, so these graphical enhancements will be a welcome enhancement to my work processes. This entry was posted on Wednesday, February 18th, 2009 at 9:32 am	and is filed under Open Source, OpenOffice.org. You can follow any responses to this entry through the RSS 2.0 feed. Both comments and pings are currently closed.